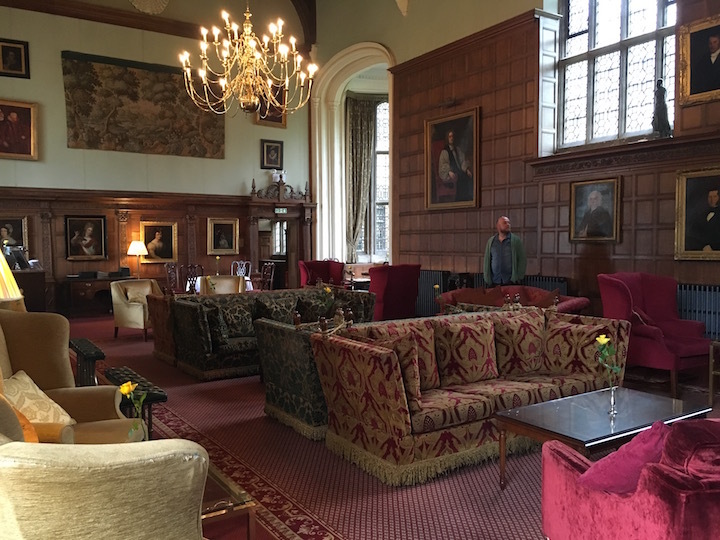 I had mixed reactions when I said I was staying at Rushton Hall. Exclamations ranging from ‘ooooooh, it’s dead posh out there, it’ll be lovely’ to ‘really? Isn’t it a bit corporate for a night with him indoors?’. Well, as with most things in life, I find the experience is what you make it, and if you have to try and make it somewhere, there aren’t many backdrops I’d pick over Rushton Hall. Thirty minutes from Northampton town, a lifetime away from the hub hub. The drive up to the hotel, is quite frankly, spectacular. I’ve been on a few occasions over the years, yet every time I go back, I am newly awed with the stunning vista. The blurb on the website highlights that it is a 16th Century, Grade I Listed building, steeped in history (and by God is it)! Tom Gilbert the manager, is a super-smart, history buff and can tell you all there is to know about it – Francis Tresham (a previous owner) had involvement in the Gunpowder plot and Charles Dickens is believed to have visited many times (one of the rooms in the hotel is said to have inspired Lady Havisham’s famous room in Great Expectations). I love that moment when you arrive at a hotel for the night and are taken to your room by one of the staff (it always feels a bit special doesn’t it?). 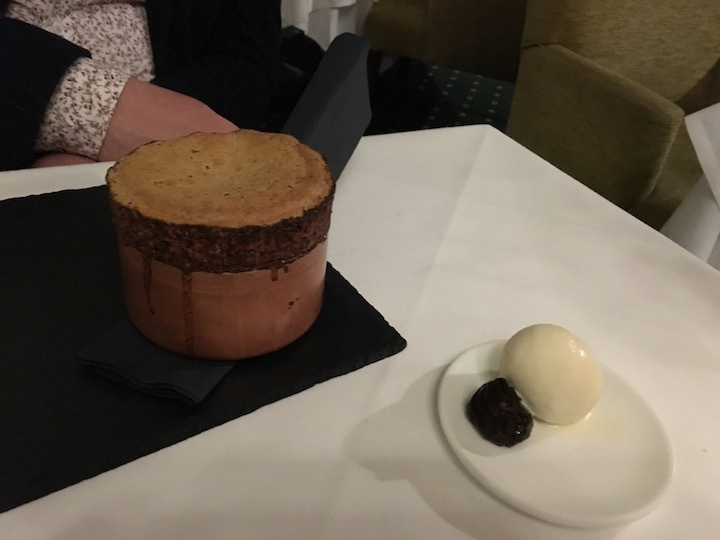 Well when the lovely reception lady took me to our suite (yes suite), let me tell you, I was for once in my life, speechless; for all of the right reasons (because believe me, there have been times the door has opened and I’ve thought, £250 for this box, you’ve got to be kidding!). Well as you can see, it was as far from a box as can be! 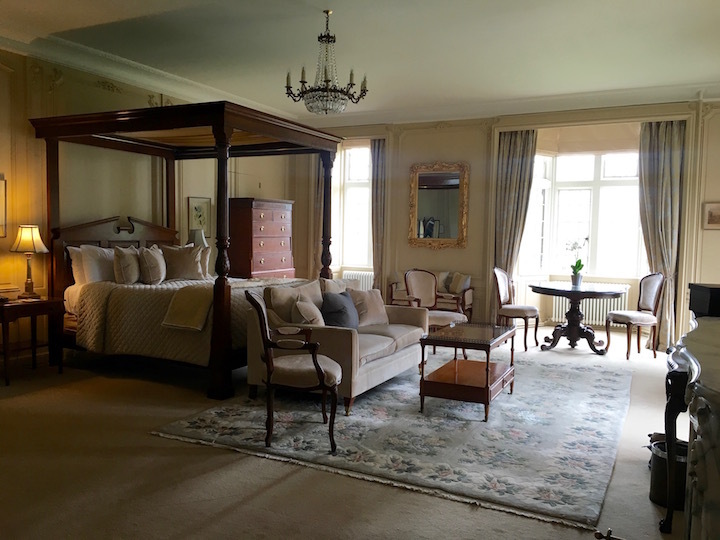 Now don’t get me wrong, I realise that I am very lucky, because as a journalist who is writing a review, I’m unlikely to be given the pokiest room in the house, but this was above and beyond, even this old hacks’, wildest expectations. 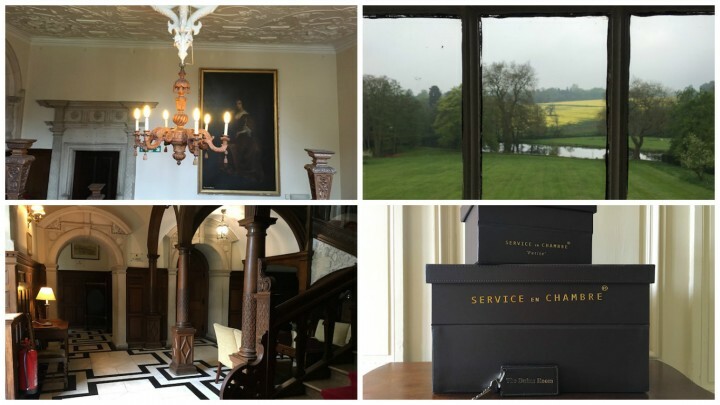 Aside from the room, the view was just stunning and the little attentions to detail (like lovely boxes for the hairdryer etc.) were really personal. Pork crackling and Malbec, what else is there? 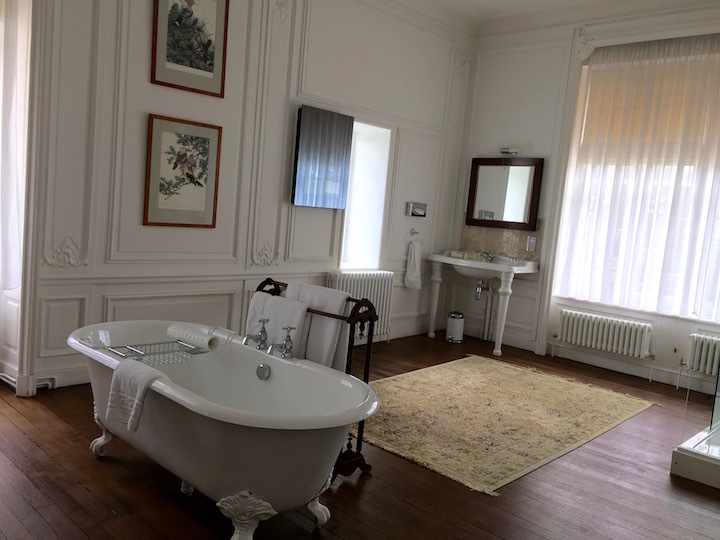 Rushton isn’t a spa hotel as such, but I bathrobed and meandered and no one seemed to raise an eyebrow. 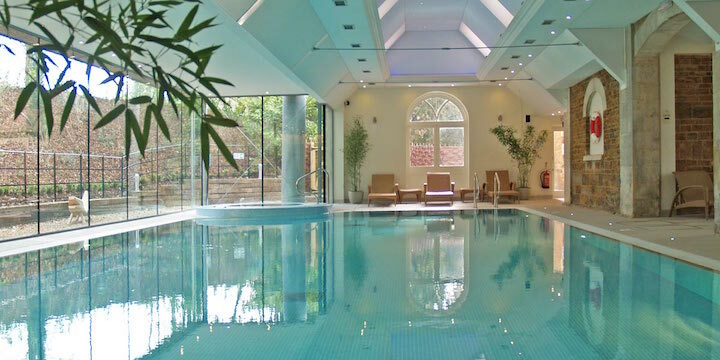 The Stableyard Spa has a really lovely swimming pool area, indoor and outdoor spa pools, steam room, sauna and fitness suite as well as a number of beauty rooms. I didn’t make it for a treatment, but it’s on the hit list to go back, as it’s such a lovely setting it’d be perfect for a day out with the girls. And of course some liquid refreshment! There’s melted chocolate in there!!! To be honest, I wasn’t expecting the food to be as superb as it was. 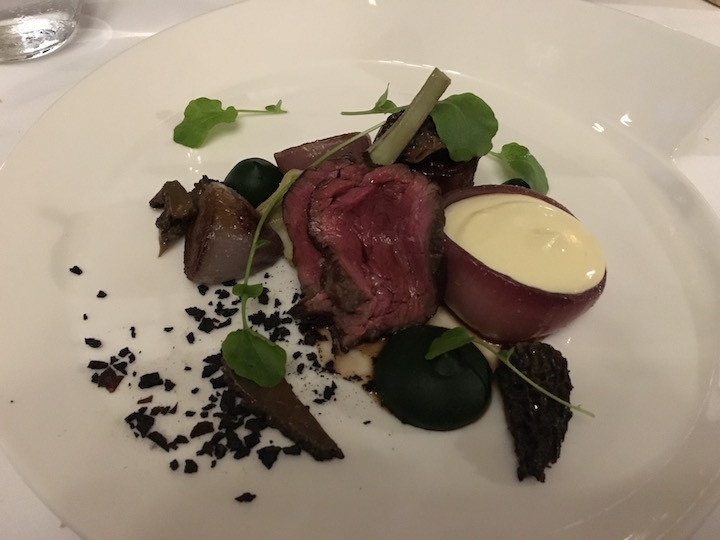 A mid-week night at a big hotel, that is known for corporate functions…hmmmmm, I’ve been to my fair share of them and have eaten numerous lamb cutlets that although adequately fine, don’t set the taste buds alight. 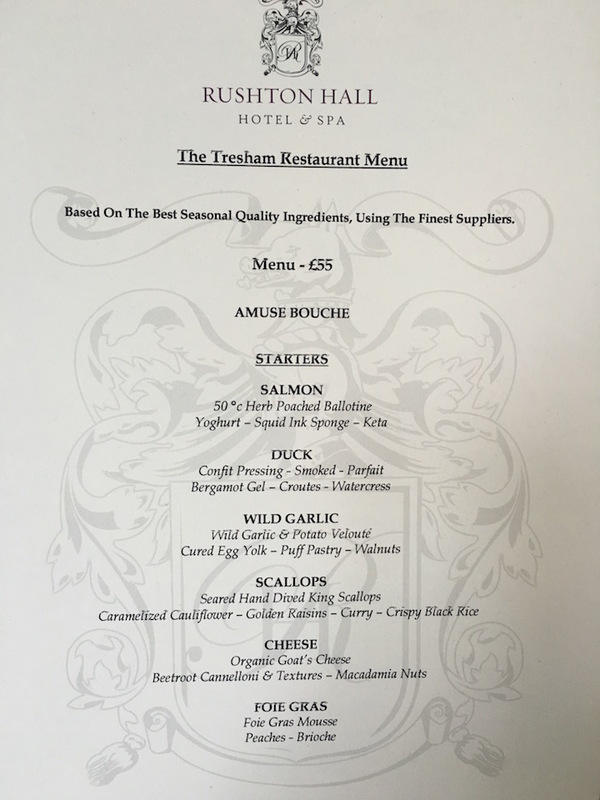 The menu is classic, with some rather daring touches for a 16th Century country hotel (bergamot gel & squid ink sponge anyone)? 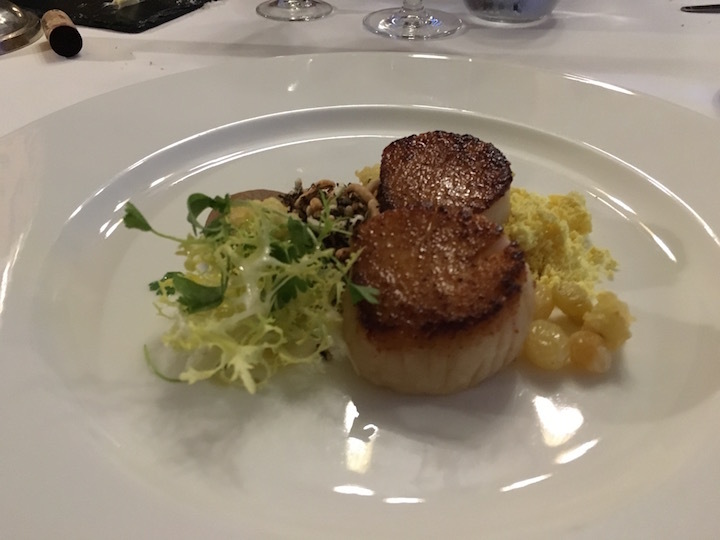 The seared scallops with caremalized cauliflower, golden raisins, curry and crispy black rice was like a disco on my tastebuds. 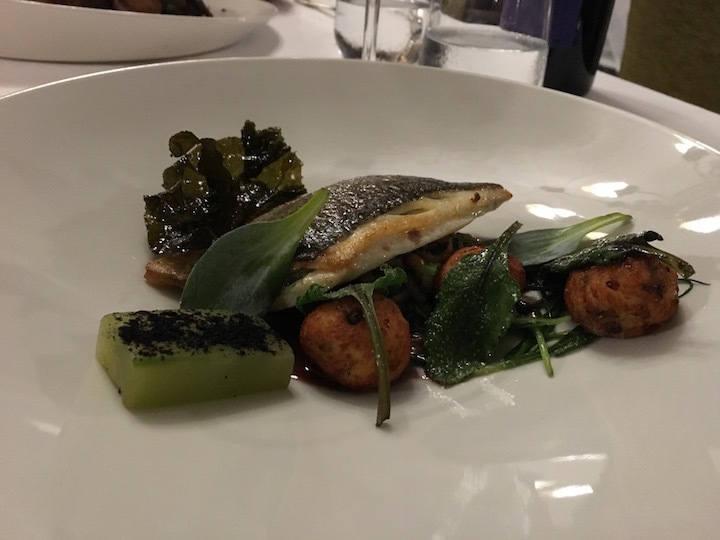 Both mains, sea bass and beef, were delicious, and didn’t feel overbearing (sometimes I can get a bit over faced with a busy plate). The staff were so friendly and keen to help with anything, and just smiled when we met a lovely couple from Wales and became slightly raucous! 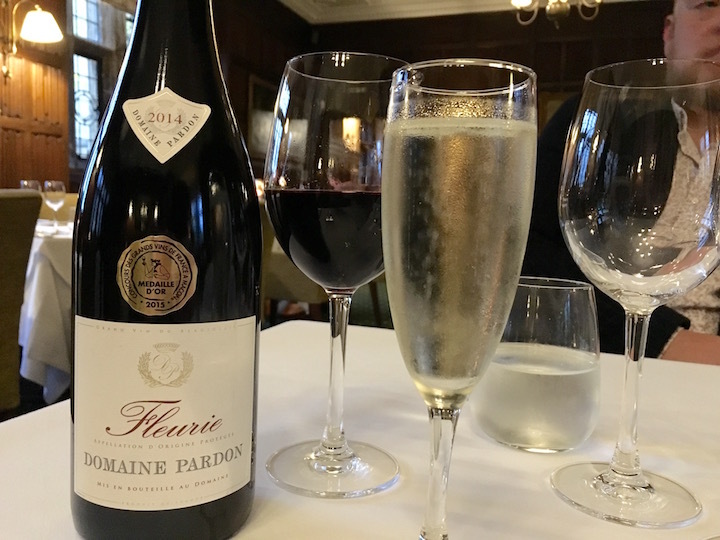 The post dinner port (don’t judge) was splendid, and I certainly felt like lady of the manor at midnight. After a great night’s sleep, I made it down to brekky in time to feel the sunshine on my face and quietly read a magazine (old school I know) and do a bit of work. 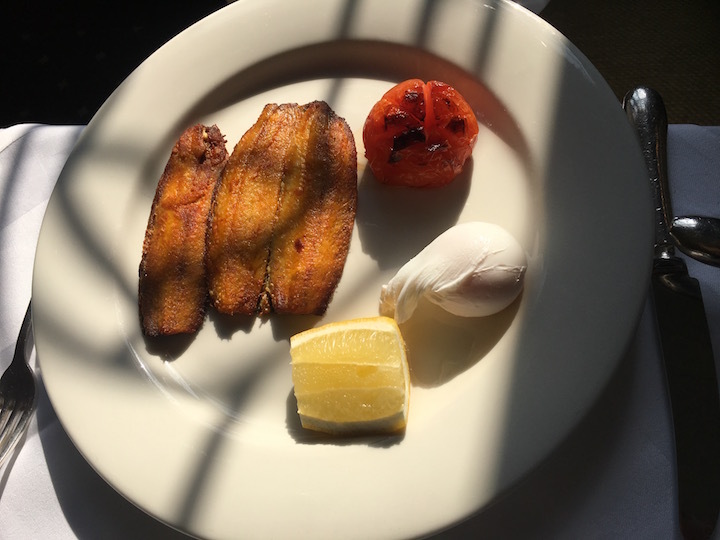 The kippers were lushy, lushness and I had really good coffee, with warm soya milk, which ALWAYS makes me happy. I even made it out for a post brekkie stroll. The surroundings are so beautiful it’d be rude not to! 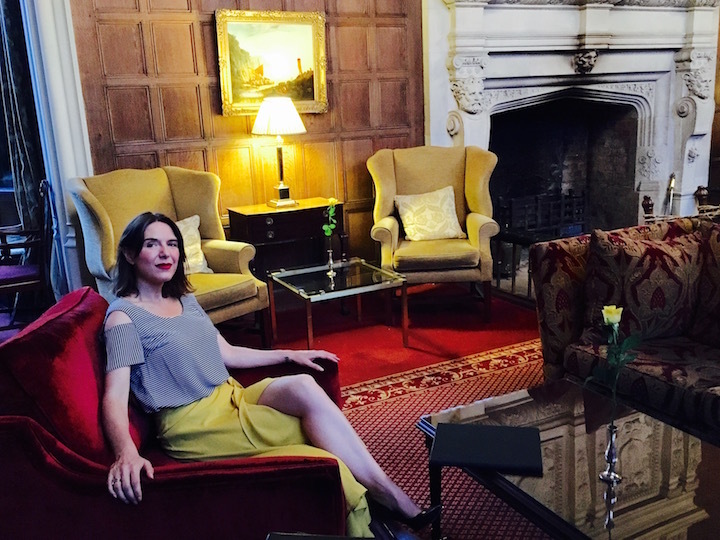 Rushton Hall Hotel, for all its grandeur, is really a place to feel at home and relax. 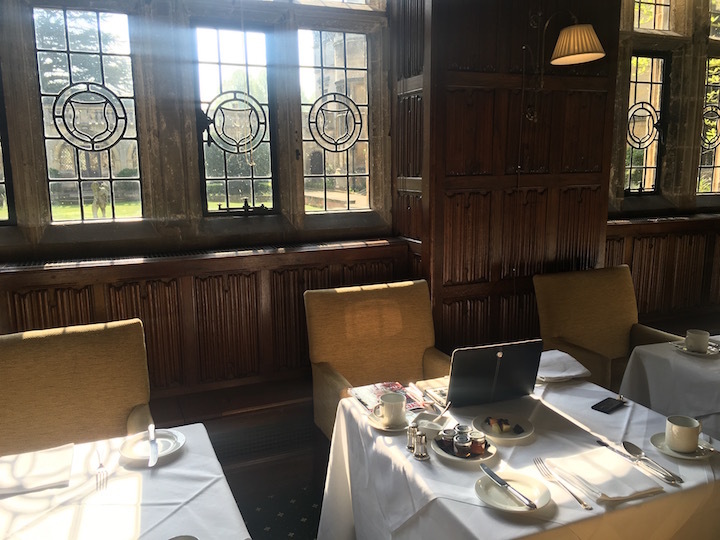 It’s a romantic setting for weddings, a great venue for conferences and business shizzle, but also, it’s a beauty little bolt hole for when you just want to get away. Places like this make Northants a county to visit, rather than just a county to pass through, and I applaud the staff here for everything they’re trying to do (OK Magazine were visiting that weekend. After us, naturally). Mid week there are often deals that practically beg you to take sanctuary and unwind surrounded by 25 acres of countryside, lake and ancient trees. 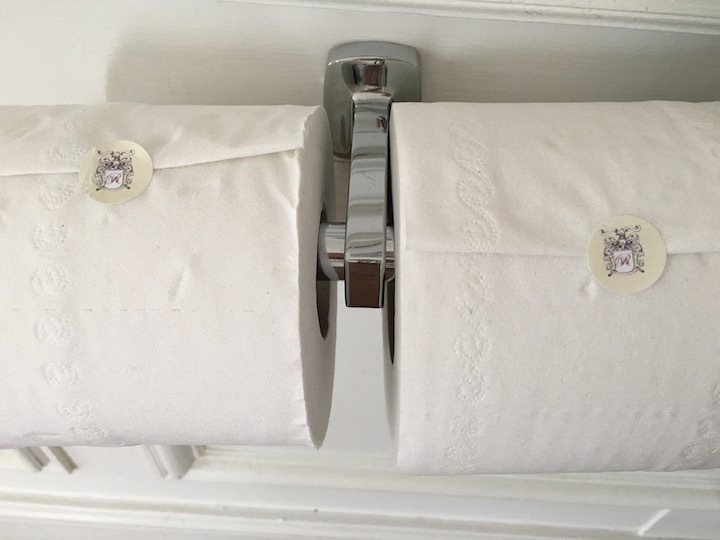 I’ll finish on the blurb which says, ‘no matter how many times you come to Rushton Hall, you will never fail to be inspired.’ And I have to say, I wholeheartedly agree (and look, they use posh stickers on the loo roll, you gotta love that)! 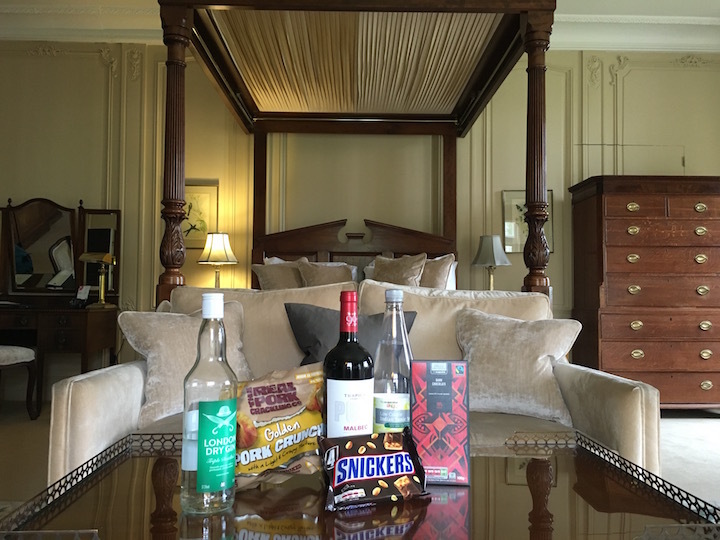 Good for: Those who like grand surroundings but unpretentious service, those who fancy a getaway without a slog of a drive, foodies, spa and nature lovers. Not for: Ravers, DJs or anyone looking for some banging house tunes. 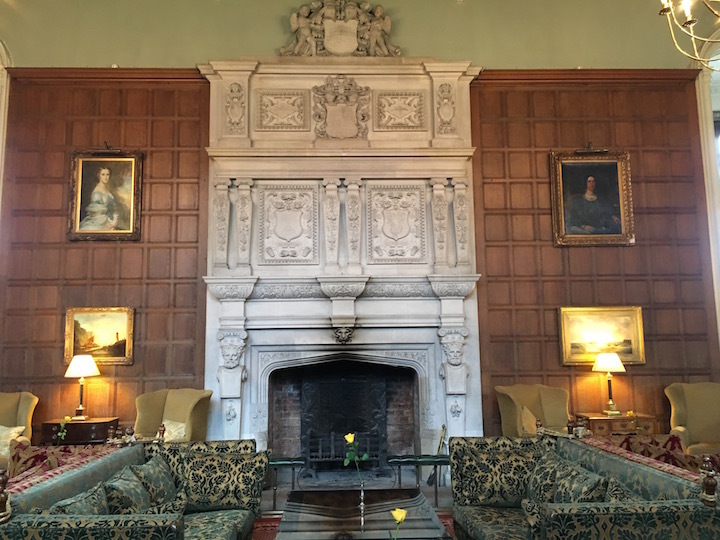 I’m sure Rushton Hall has seen its fair share of parties, but generally the mood is more relaxed and chill. Nothing to say you can’t hire the lot out and mosh up with some Old Skool tuneage though (hmmmm, there’s a Muddy feature idea)! 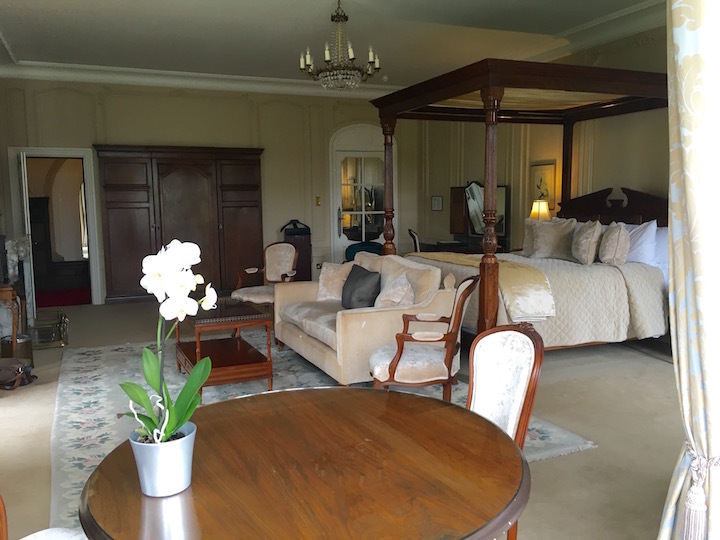 £££: Overnight stay in a classic double bedroom for only £240 for 2 including 3 course dinner in the Tresham Restaurant, full english breakfast & use of the Spa facilities (bearing in mind dinner would be £110 anyway, I reckon that’s money well spent). 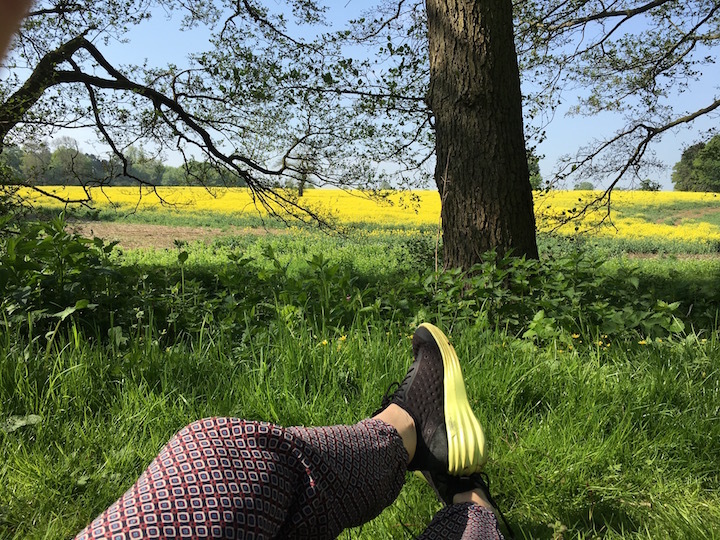 I teach yoga in the Stableyard Spa at Rushton Hall, and it’s one of my favourite venues. Hello! I’ve been reading your weblog for a while now and finally got the bravery to go ahead and give you a shout out from Huffman Tx! Just wanted to say keep up the great work!